Christmas! Dare I say that word, but as of tomorrow it will be November which will surely fly by and then before we know it the 25th will be knocking on our door. 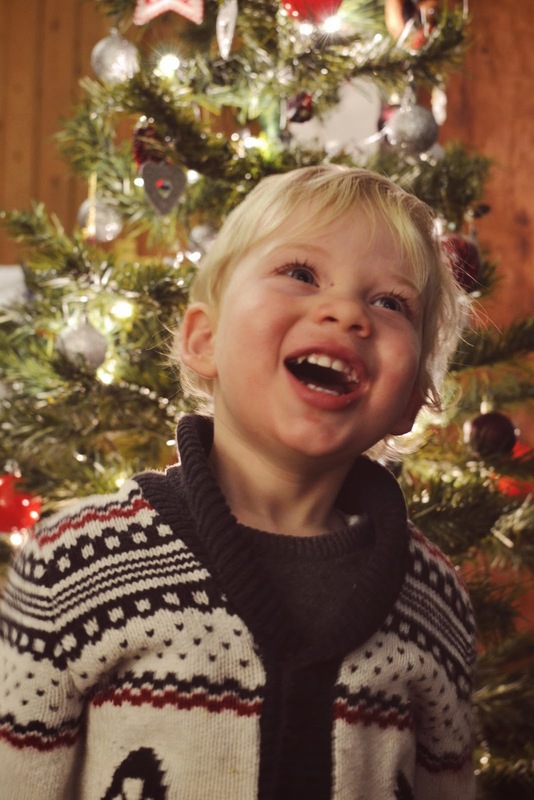 Theo has somehow gained all the knowledge of Christmas over night, and if he sees a snowman/ fairy light / Christmas tree / reindeer shape anywhere he will happily announce that it's Christmas. Leaving us puzzled as to who taught him these things and slightly worried at how well advertising works...We've tried to ask him what does he like best about Christmas, and give him helpful nudges towards seeing family and friends, having nice food and giving presents, but obviously he's nearly three and all he probably cares about is GETTING presents. The last few Christmas's he's been none the wiser as to what is going on, but this year I feel it's the start. The start of the "I wants". We've got a few ideas already of what to get him, but I'm going to try and stick to my only "local, handmade or second hand gifts" rule for presents for him, and for family. We're lucky to have such a varied range of local independent shops on the Gloucester road near us, which I'm going to try to stick to! As for a tree we've previously used an artificial tree that I used to have as a child, which with a curious toddler and cat saved us having to buy a new powerful vacuum cleaner to clean up all the needles that would inevitably fall from a real tree when falling being pulled over. But this year we are thinking it would be nice to either get a new modern artificial tree or go to a Christmas tree farm and cut down our own real one. I think that perhaps we could trust Theo a little more...? Have you started to think or plan Christmas yet? Or do you hate me a little for talking about it already? !